In the past, I’ve written various times on the popularity of strawberry gin in Spain and I have long expected gins to follow suit in the UK, although it seems to have taken a few years for the first major strawberry gins to emerge. This is Gordon’s “Pink” Gin, which is pink in colour and has nothing to do with the old naval cocktail of the same name. The gin is made using Gordon’s gin, along with strawberries, raspberries and redcurrants. It is described as having “natural fruit flavours and a subtle touch of juniper” and is bottled at 37.5% ABV. Nose: Strawberries and cream with a tart hint of raspberry and the faintest whiff of earthiness. Taste: Sweet upfront, with a flavour reminiscent of jelly and slooshy (slightly melted) ice cream. This develops into florid notes of blossom and blackberry. The finish has a subtle dryness and a little coriander. The berry notes really come through well, with juicy, sweet flavours of strawberry and raspberry and a hint of creaminess. There is a touch of dry juniper and angelica on the finish. This would work well garnished with strawberries or, if you’re feeling decadent, a sliver of vanilla pod. A particularly perfumed Martini, sipping this cocktail is a bit like kissing a Great Aunt: the berry notes seem to merge with those of the vermouth to create a florid flavour that overwhelms the drink. This is definitely not the best way to enjoy this gin. This makes a rather sweet Negroni; the berry notes of the gin really come through and, if anything, the red vermouth and possibly even the Campari are the ones that are overpowered. An unusual take on this cocktail, which will not appeal to all, but is worth trying, especially for those that might have tried a Negroni once and found it way too bitter. Very sweet with lots of bright berry notes – mostly strawberry, but with a bit of raspberry, too. I fear this may be too sweet for many hardened gin drinkers, but that in itself doesn’t make it a bad drink. It will certainly appeal to those with a sweet tooth, being slightly reminiscent of a coke float made with raspberry ripple ice cream. Actually, the more I drink it, the more I like it – it’s unexpectedly indulgent! I think that Gordon’s Pink Gin is a much better product than many of the Spanish strawberry gins; it is less sweet and has a dryer profile, and the additional fruit notes add complexity. Whilst I don’t think it works in all classic gin drinks, it worked particularly well when mixed with tonic and cola. 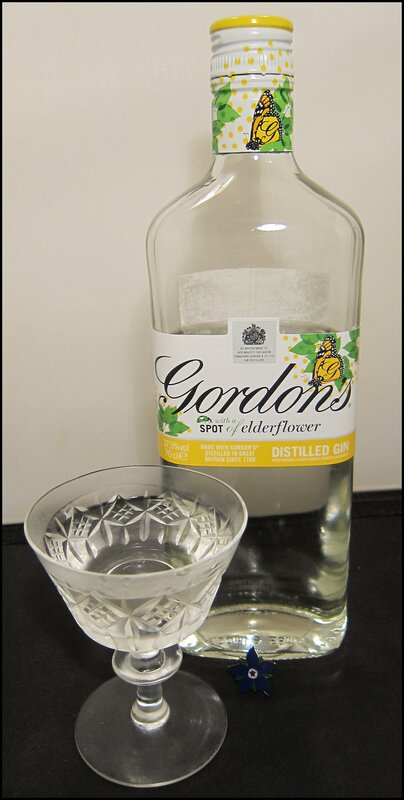 Bottled at 37.5% ABV, Gordon’s Gin with a spot of Elderflower is combination of classic Gordon’s Gin with natural elderflower flavour. Nose: Some dry juniper, then a little coriander citrus, followed by a little green stalkiness and, finally, the bright, floral scent of elderflower. Taste: Dry juniper upfront, with a little angelica and coriander citrus. This then moves onto the slightly sweet and jammy floral notes of the elderflower, before finishing with the dry notes of a refreshing elderflower presse. Lovely, elegant and refreshing; the lemon garnish adds a little zest that compliments the floral elderflower well. This finds a good balance between sweetness and dryness, making it perfect for a simple, no-fuss afternoon cooler. A dryer drink that allows for a greater balance between the flavour of the gin’s botanicals and the elderflower. It is also more complex than the Schweppes variety, but no less refreshing. 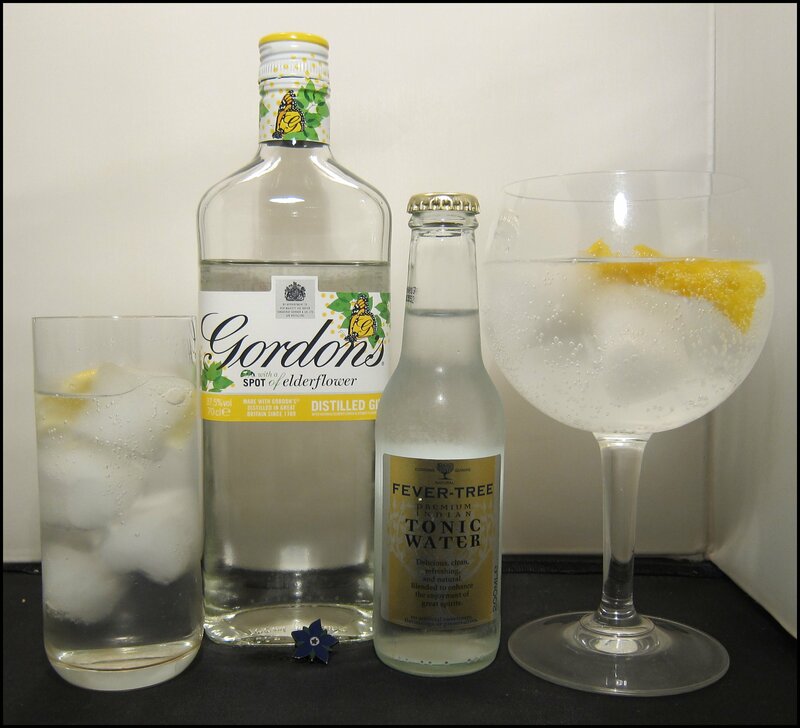 I think the Fevertree works particularly well when served in the large goblet glass (see picture) in the Spanish Gin Tonica style, made using plenty of ice and a twist of lemon peel instead of a wedge. Squeezing the peel over the drink before dropping it into the glass expresses the citrus oil, which works well with the perfumed elderflower. preferred this ungarnished but if you did want to add some colour I’d advice a thing slice of lemon peel but no olive. This makes quite a soft, smooth and sweet Negroni. The herbal and bitter elements arrive early on in the drink and the finish has a greater focus on the gin, with some jammy elderberry as well as elderflower and a little citrus. I’d recommend a pink grapefruit or even a lime garnish with this drink, rather than a more traditional orange one. sour, flavours of the juice. This drink provides a very nice alternative for those who want a break from tonic’s effervescence. One tip is to make sure that you give the drink a good stir before serving, to ensure that it is well mixed. 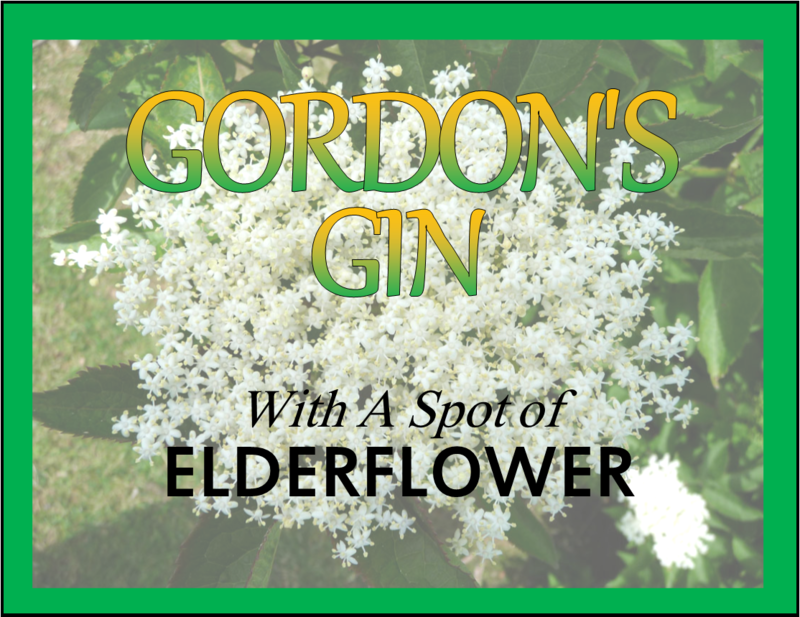 I think that Gordon’s Elderflower is a pleasant addition to their range and makes some very refreshing and tasty drinks. I think I’d be quite keen to add a tot to a jug of Pimm’s to spice up the flavours a little. Of those that I tried, my favourite drink was the Gin & Tonic, closely followed by the gin served with apple juice. 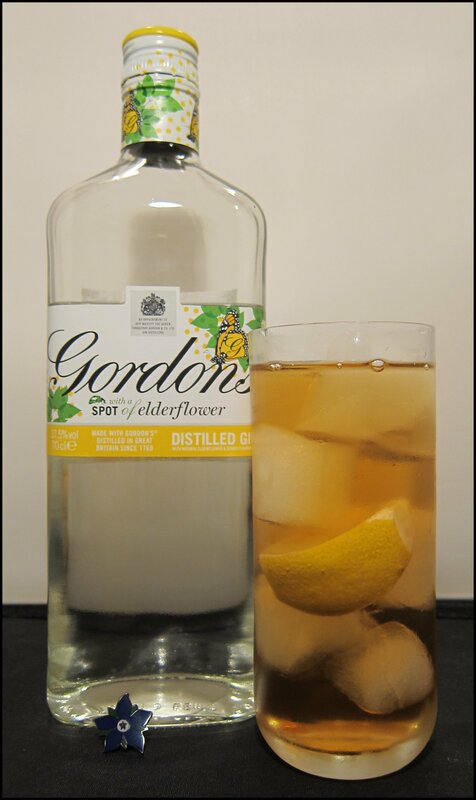 Gordon’s with a Spot of Elderflower is available for around £16 for 70cl from Tesco.